Additional Info: Drew Nielsen is a Lehigh Valley, PA. resident, holds a Bachelor of Music in Piano Performance and a M.A.T. in Music Education degrees from the University of the Arts in Philadelphia, and is a widely sought after musician as both a pianist and vocalist. As pianist/accompanist, Mr. Nielsen was named Artist of the Year 1989, as part of a piano competition held by the Friends of Music of Bethlehem, PA. and has worked as accompanist for the Lower Merion Players (Ardmore, PA.)productions of Cabaret, South Pacific, and Kiss Me Kate, as well as the 2000 Signature Production (Summerlin, NV.) of the Music Man, and most recently for the rock opera Chess with Pierrot Productions of central New Jersey in November, 2010. Drew has been featured as Tenor soloist and Accompanist for Trinityfest held at Trinity Cathedral in Trenton, N.J. under the direction of Deborah Ford since 2007, and has performed as Accompanist and Musical Director with the Off-Broad Street Theatre's performances of the Leader of the Pack in Hopewell, N.J. during the Summer of 2008. He recently performed as both Accompanist and Tenor Soloist for Princeton Musical Amateurs' performance of Carl Orff's Carmina Burana in the fall of 2008, and performed as pianist for Beethoven's Op. 80 Choral Fantasia with the combined Bloomfeld (N.J.) Symphony and Hopewell Valley Chorus in May, 2009 under the direction of Buzz and Marjorie Herman. At the present time, Drew is the Professional Accompanist for the Choral Activities at St. Francis DeSales University under the direction of J. Ben Durham, and accompanies the Hopewell Valley Chorus under the direction of Michelle Zuckman. 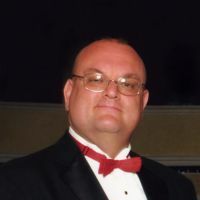 Additionally he has performed as Accompanist and Tenor Soloist for Cantus Novus, Yardley, PA, under the direction of W. Edward McCall, and also has accompanied choral activities at Raritan Valley Community College. After Touring Southern France in 2001 as soloist, accompanist and assistant director with Princeton Pro Musica's “Keepin' the Faith” Tour of Robert Ray's Gospel Mass, he continues to perform regularly as both Professional Singer and Assistant Accompanist for P.P.M. under the direction of Frances Slade. In 2009, Mr. Nielsen completed a Graduate Orff-Schulwerk Teacher Certification at West Chester University, and continues his position as Organist-Music Director for St. John's Lutheran Church in Farmersville, PA. while teaching private piano to students of all ages in eastern Pennsylvania, and central/northern New Jersey. Hourly Rate is negotiable, but am available to perform in a wide area of Eastern Pennsylvania as well as Central and Northern New Jersey.